Reply, for 'Mrs [Elizabeth] Murray'. 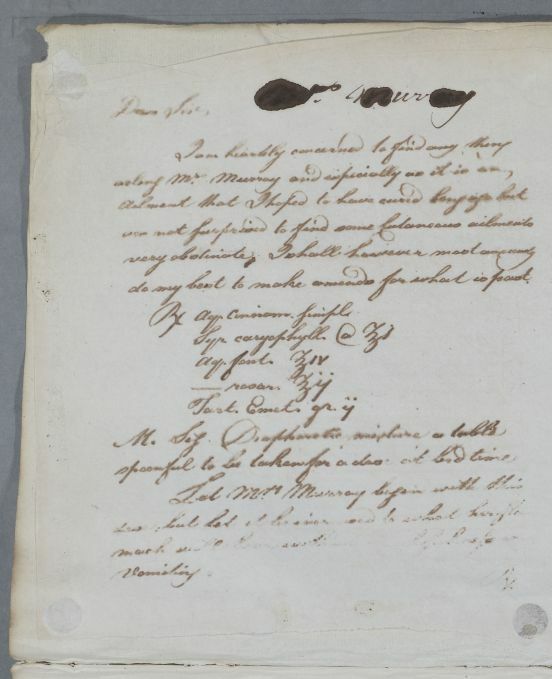 Summary Reply, for 'Mrs [Elizabeth] Murray'. Case of Elizabeth Murray of Darnhall who in 1781 is already taking powders for her stomach and who suffers 'flying pains'. 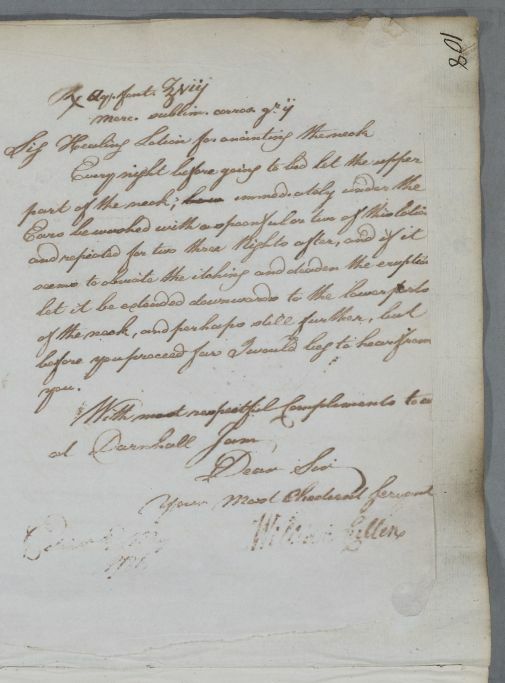 In 1786 she visits Moffat to use the waters to treat a skin 'eruption' on her neck and face. do my best to make amends for what is past. Take one ounce of simple Cinnamon Water, one ounce of Syrup of cloves, four ounces of spring Water, two ounces of rose Water and two grains of Tartar Emetic. Mix. Label: Diaphoretic mixture; a tablespoonful to be taken for a dose at bedtime.